This is one in a series of guest posts by other bloggers. Read to the end for a longer biographical note on today's guest blogger, Teresa Graham Brett of Parenting for Social Change. Teresa has offered a penetrating and incisive look at how our upbringing affects our ability to connect with our own children and treat them with respect. Some links in this post are affiliate links that support the work of this site. Thank you! In her book, All About Love: New Visions, bell hooks wrote this paragraph that has stayed with me for some time. I've written about it before, but for some reason I was drawn back to want to write about it again. The first time I wrote something, I merely touched the surface of my feelings and the way it challenged me. This time, I finally got to the core of some truth, even if it took me a while to get there. I've read this portion of the book many, many times. And I struggle even now with it. Even as I wrote this, I kept typing and deleting as I desperately tried to find the words to express my thoughts and feelings, thoughts and feelings that need to come to the surface. I took a break from trying to write and washed some dishes. I cooked a bit and noticed the ways I was feeling annoyed and short-tempered with my family. It was still sitting with me. But then the truth hit me in a flash. It brings tears to my eyes as I write it. The truth is I know very little about loving children. I never learned how to love children without control. I never learned how to love children without conditions. I never learned how to love children and not make them responsible for my happiness. I never learned how to love children without expecting them to "do better next time." I never learned how to love children for just being who they are, not for what they do. I never learned how to love children without wanting to change something about them. As a both a child and now as a parent. I have to admit that the ways that I learned about loving children were distorted by power, control, and fear. The same things that influence our broader culture are reflected in our homes, the homes where we are supposed to learn what love is. I have come to realize that because I did not learn how to love children, I struggle with acknowledging by my every action their fundamental human rights. I could beat myself up for not being the parent I want to be, for falling short of this ideal vision of what it means to love. And I have certainly done this. I have been in a place of feeling shame or guilt for treating the children in my life less than lovingly, for abusing their trust and treating them with disrespect. And when I've been in that place, too often I get stuck. Instead, I can be responsible for facing the internal barriers I have to being loving and decide that I have the capacity to transform my relationships with the children in my life. And in the process of learning a new vision of love, I have to learn how to love myself. Because we did not receive in childhood the unconditional love we needed, we have to learn how to give it to ourselves. The process of acknowledging in our every action the right of children to be treated with respect and dignity cannot come if we do not treat ourselves the same way. Like many people, I turned the way I was treated as a child inward and learned "lessons" about myself that I carried into adulthood and parenthood. I learned that I must use power and control internally, with myself, in order to get the results I think I should have. I learned that I couldn't love myself without conditions. I learned that happiness had to be found outside of me. I learned that I always had to expect myself to "do better next time," that whatever I did just wasn't quite enough. I learned that I couldn't love myself for just being me, that the measure of my worth comes from what I do. These are all lessons that I am unlearning. As we all unlearn the lessons we took in during childhood, we have to learn new ways of loving children AND loving ourselves. We have the capacity to face our fears and liberate ourselves from what we learned in the past. Writing my truth today frees me to acknowledge where I have come and forge a new path. It helps me to connect to the ways I already have learned to be loving. And most of all, when I act less than loving to the children who share my life, it allows me to be responsible for my actions, and still give myself the unconditional love that will increase my capacity to love others in direct proportion to the love I give myself. Teresa Graham Brett's radical, mind-shifting book Parenting for Social Change is part of the Mindful Parenting eBundle. Parenting for Social Change: Transform Childhood, Transform the World is a powerful parenting book that isn't about children, but about the harmful cultural messages we, as parents, perpetuate in our relationships with children. It addresses the work we as parents must do to free ourselves, the children who share our lives, and our world from those harmful messages. Teresa Graham Brett uses current social science research to debunk the myth that controlling children is necessary to ensure they grow up to be healthy and responsible adults. She demonstrates how changing our parent-child relationships plays a critical role in creating social change. More importantly, it gives parents strategies and tools for letting go of harmful control of children. The whole point of why I parent the way I do (or the way I want to, at least!) is based on respect. That's why I'm so pleased that the Mindful Parenting eBundle has six resources including Teresa's book that are specifically on the subject of respectful parenting and peaceful guidance. With 16 other gentle parenting resources at the incredible price of $24.95, each e-book is only $1.13 apiece! 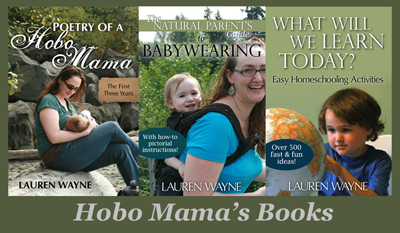 Buy your bundle today with these gentle-parenting resources, because it will be available only until June 10. 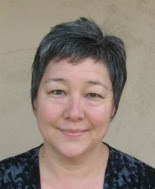 Teresa Graham Brett lives her passion for creating social change by combining her work in social justice education with parenting. After graduating from law school, she decided not to practice law. Instead, she opted to serve the cause of social change and justice through her work at three large public universities across the country. Her life was transformed after the births of Martel and Greyson, who have challenged her to live the values of liberation, freedom, and respect as a parent. She discovered the ways in which she did not live in congruence with her professional values in her role as a parent. Using her experience in facilitating social justice learning, she began her own learning journey toward creating respectful relationships with the children who share her life. She now coaches and consults with other parents to let go of the harmful paradigm of control they experienced as children to create respectful and peaceful relationships with children. You can learn more at Parenting for Social Change. Love this and LOVE bell hooks!